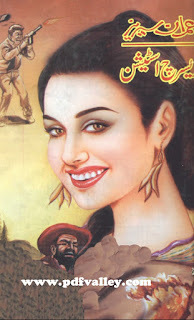 You can download Research Staion ( Urdu ریسرچ اسٹیشن) by Safdar Shaheen free in pdf format. The character of Ali Imran is a playful yet deceiving personality. He is a bright young Oxford graduate with M.Sc. and Ph.D. degrees in chemistry. His comical and apparently incompetent persona hides his identity as head of a secret service. The Imran Series explains the workings of a country's Secret Service that operates from the capital of an imaginary country called Pakasia. The Secret Service is administered by the Secretary of Foreign Affairs, Sir Sultan, who offers Imran the position as the Secret Service's head after getting personal help from him.